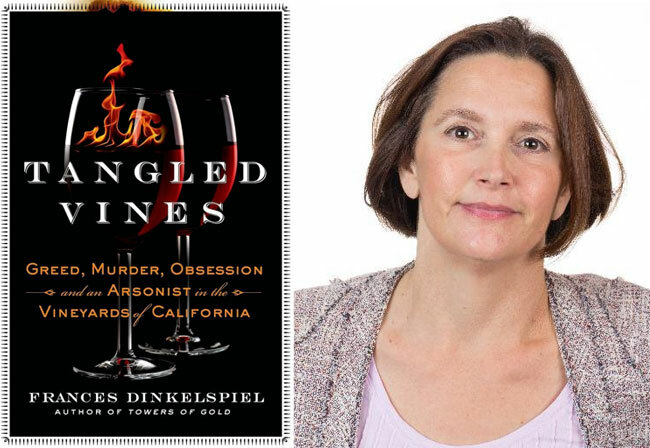 On Tuesday, May 3, 2016 from 6:30-8:00pm we’re excited to welcome author Frances Dinkelspiel, who will discuss her book Tangled Vines: Greed, Murder, Obsession and an Arsonist in the Vineyards of California. On October 12, 2005, a massive fire broke out in the Wines Central wine warehouse in Vallejo, California. Within hours, the flames had destroyed 4.5 million bottles of California’s finest wine worth more than $250 million, making it the largest destruction of wine in history. Mark Anderson, a passionate oenophile and skilled con man, had set the fire with a bucket of gasoline-soaked rags and a propane torch. 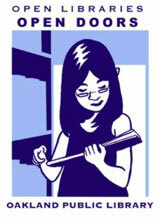 The Sausalito businessman was trying to hide evidence that he had stolen wine from the warehouse. Among the priceless bottles destroyed were 175 bottles of Port and Angelica made by Frances Dinkelspiel’s great-great-grandfather, Isaias Hellman, in 1875. The grapes used for the wine came from a vineyard in Rancho Cucamonga that had first been planted in 1839, making it one of the oldest vineyards in California. Tangled Vines: Greed, Murder, Obsession and an Arsonist in the Vineyards of California, a New York Times bestseller, tells the story of the inferno and Dinkelspiel’s journey to reconstruct the history of the vineyard where Hellman’s wine was made. It’s a search, too, to understand the passion that drives men and women to make wine, and what turns people like Anderson to wine’s dark side.